Are you looking for a home in the country that surrounds you with peace and quiet? If so then this is the ideal home for you! This 3 bedroom/2 bath home with 2 car garage is a must see and best of all it sits on 2 acres of land! So don&apos;t delay call for your private showing today! Great location for the perfect the perfect country Home. 3 bedroom 2 bath plus peace and serenity on 2 acres. Manufactured home next door is available as well if interested in purchasing together. You don&apos;t need to drive to North Carolina any more! Your getaway is much closer. Drive less than an hour and feel like you have escaped. 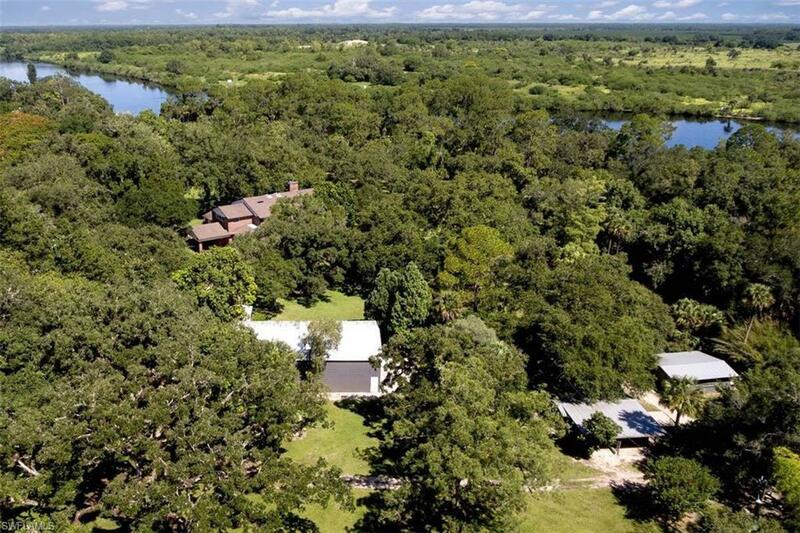 This River Front Home sits on over an acre on the North Bank of the Caloosahatchee between Alva and LaBelle in the historic Fort Denaud area. Three levels, multiple screened and open decks, five bedrooms, 3 and 1/2 bathrooms, and a great dock on the river with covered lift. It will be so easy to get away you might just stay. This large 2 bedroom 2 bathroom is newly remodeled. Has open concept and new kitchen and bathrooms.Comes with washer and dryer in laundry room. Lots of yard for children to pay. 5.17 Acres!